The news that NV Energy is being sold to a company owned by Warren Buffett is being greeted with applause by some including the state's most powerful political figure. "When he says Nevada's a good bet. That's Warren Buffet. It's a good bet.," Senator Harry Reid said Thursday. Senator Reid says the sale will be good for the state and the company. "NV Energy will no longer be undercapitalized. They've struggled over the years because they don't have the money to do all the things they want to do. That's not going to be the case anymore." NV Energy CEO Michael Yackira agrees. "Their ability to raise capital. Their ability to go out and borrow money at a lower interest rate should pass right along to our customers' bills over time," says Yackira. Senator Harry Reid, NV Energy CEO Michael Yackira and Rebecca Wagner, Commissioner, Nevada Public Utilities Commission have been invited to speak at the Opening Session of the GRC Annual Meeting, at the MGM Grand, Las Vegas, Sept. 29-Oct.2. Geothermal power is now being produced in the Cooper Basin in South Australia. This is a 100-day test run of the 1 MW Habanero Power Plant operated by Geodynamics. Rachel Webster and Mike Sandiford discuss the path in tapping heat beneath the Earth, and getting it to the surface where it is used to heat water, produce steam, and drive turbines producing electricity. Guests: Rachel Webster, Professor of Physics, University of Melbourne and Mike Sandiford, Professor of Geology, Director Energy Institute, University of Melbourne. Download Audio (mp3 file) 10:02 Minutes. 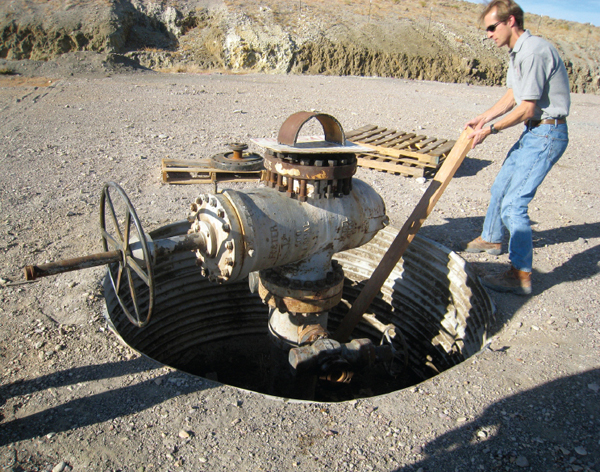 Reno, Nev.–based Ormat Technologies, the U.S. Department of Energy (DOE) and Schlumberger subsidiary GeothermEx said they had stimulated an existing injection well to increase power output from brine by 1.7 MWe at Ormat’s grid-connected 26 MWe Desert Peak 2 geothermal plant in the Brady complex in Nevada’s Churchill County. Rappaport Energy Consulting LLC has received notification that the U.S. Department of Energy (DOE) has approved a Small Business Innovative Research (SBIR) Phase 1 grant proposal for $149,900 to help fund research into retrofitting a concentrated solar thermal array to the existing geothermal electrical generation system currently installed at the Oregon Institute of Technology (OIT) in Klamath Falls Oregon. The addition of the concentrating solar collector to the system will boost the temperature of the geothermal fluid fueling the Organic Rankin Cycle (ORC) engine that drives the 280kW electrical generator. The new hybrid system is expected to improve the efficiency and output of the generator. Current MGM Grand Discount Room Rates End May 31, 2013 - Book Your Room At The MGM Grand Now! Sergio del Campo Fayet, undersecretary of Energy in Chile, announced during the 2nd International Geothermal Congress, ACHEGEO 2013, the creation of a mechanism called "Premium Bid" that would guarantee a minimum price for electricity produced by geothermal development. 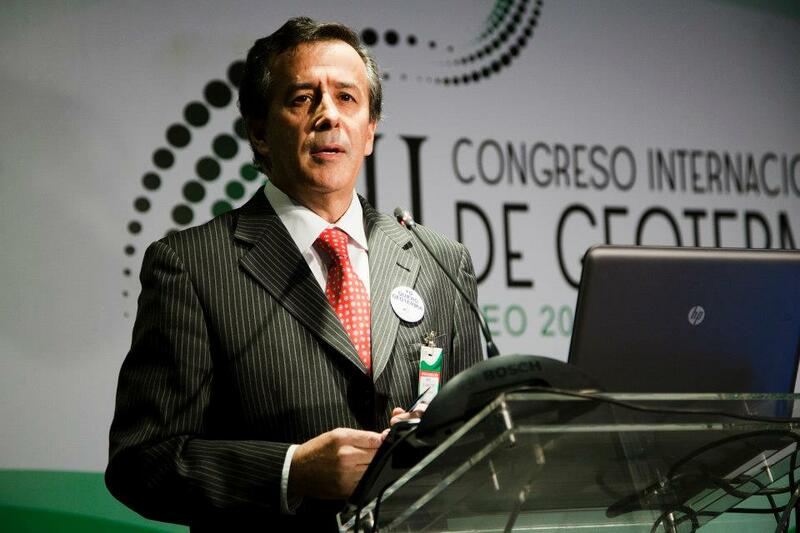 Sergio del Campo Fayet, subsecretario de Energía en Chile, planteó durante la celebración del II Congreso Internacional de Geotermia, ACHEGEO 2013, la creación de un mecanismo denominado “Licitación de Primas” que garantizaría un precio mínimo a percibir y del cual se beneficiarían los desarrolladores geotérmicos. NV Energy will become part of billionaire Warren Buffett’s business empire next year under a $10 billion acquisition agreement announced on Wednesday. Elliott Parker, economist at the University of Nevada, Reno, said MidAmerican brings vast resources, especially for the growing renewable-energy market, to a state with plentiful geothermal and solar potential. In addition, Parker said, the deal will likely give NV Energy better bargaining power before the state Public Utilities Commission. But he expects few, if any, advantages for the company’s ratepayers under MidAmerican control. “I don’t see any changes in how NV Energy will do business,” he said. 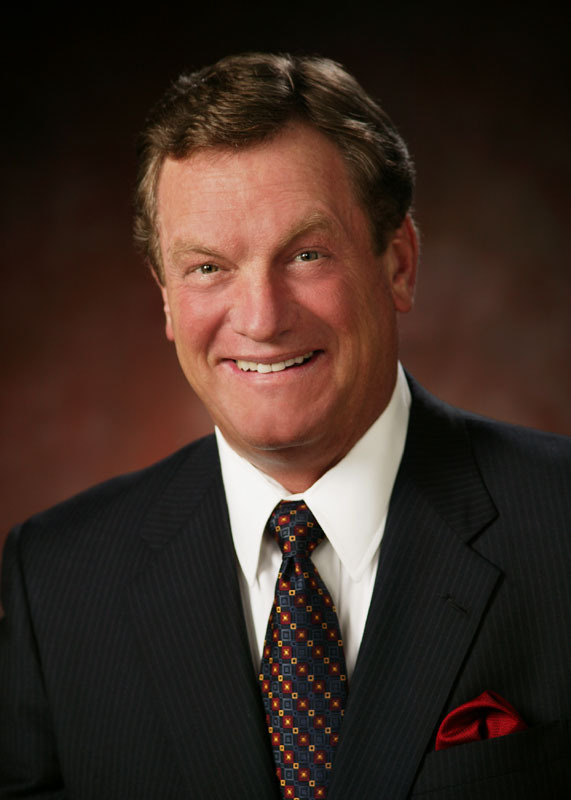 Michael Yackira, CEO of NV Energy is invited to speak at the Opening Session of the 37th GRC Annual Meeting at the MGM Grand, Las Vegas, Sept. 29-Oct. 2. The idea is to establish a global exploration drilling fund, ideally with some public sector support. What good would it do? 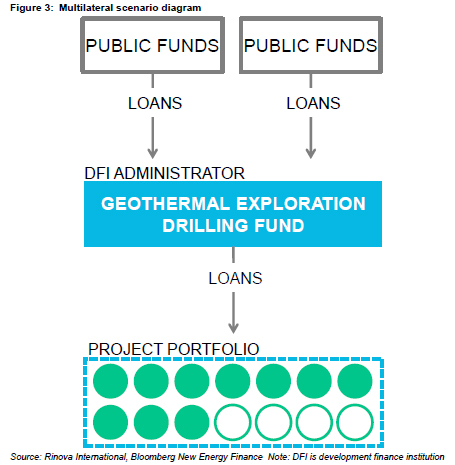 According to a new white paper by Bloomberg New Energy Finance and the consultants Rinova International, it could be just what geothermal needs to fulfill its potential as a large and steady energy producer, especially in developing countries that otherwise would stoke economic growth with fossil fuels. Scientific Drilling International (SDI) recently hosted a grand opening celebration for its new Northeast Asia facility in Manila, the Philippines. Over fifty guests from companies, both local and abroad, participated in an afternoon of networking, technology presentations, tours, and catered local appetizers. The feedback was overwhelmingly positive, and the investment by SDI into the region and commitment to the geothermal, and oil and gas industries did not go unnoticed. GRC patron member company Scientific Drilling has more than 30 years of geothermal drilling experience with over 475 geothermal wells drilled globally from continental Europe, to the Philippines, Indonesia, New Zealand and the Americas. The Japanese government plans to provide support to develop geothermal projects in East Africa, the Nikkei newspaper reported today without saying where it got the information. The Japan International Cooperation Agency plans to start offering technical assistance in Kenya in September as the African nation plans to increase its geothermal capacity to about 5,000 megawatts in 20 years from 200 megawatts now, according to the report. Japan also plans to send geological survey missions to countries such as Rwanda, Uganda and Tanzania and to draw up a development plan for Ethiopia, the Nikkei said. With installed geothermal capacity on track to surpass 12,000 MW globally by the end of the year in 25 countries, and over 60 countries reported to have projects in development, the GRC Annual Meeting & GEA Geothermal Energy Expo is expected to be an exciting international gathering of geothermal companies, academics, financiers, policy leaders, students, and other individuals. The international geothermal community is marking their calendars to attend or exhibit at the event, to be held from Sept. 29 to Oct. 2 at the MGM Grand in Las Vegas. A Saskatoon company hopes to drill down 3,000 meters and build a geothermal power station in the Estevan area. CTV spoke with Deep Earth Energy Production Corp. CEO Kirsten Marcia about the project. This report defines and evaluates the supply chain of Canada’s geothermal power and direct use of heat and cooling sector. This includes an evaluation of the geothermal energy sector’s current state of development and interaction, and the necessary steps for growth and international competition. This report also provides an evaluation of the geothermal energy sector’s strengths, weaknesses, risks, and opportunities. This report was jointly prepared by the Canadian Geothermal Energy Association (CanGEA), Natural Resources Canada (NRCan) and CanmetENERGY. It was developed with oversight by Alberta Innovates – Technology Futures and with funding from Natural Resources Canada (CanmetENERGY). The report was written and prepared by CanGEA. Reduced weekend room rates at the MGM Grand for the GRC Annual Meeting & GEA Expo in Las Vegas, Nevada, ends on Friday May 31. 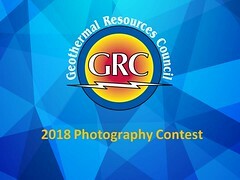 The Geothermal Resources Council (GRC) has announced that the offer of a discounted hotel rooms on Friday and Saturday night at the world’s largest annual geothermal conference at the MGM Grand Hotel in Las Vegas, Nevada, Sept. 29-Oct.2, will end this week. The room rate for the GRC Annual Meeting & GEA Geothermal Energy Expo at the MGM Grand Resort & Casino for all days at present is $89. In the three towers of the Signature at MGM Grand it is $99. After May 31 these rates will increase by over $60 for Friday and Saturday nights. Make your Hotel room reservations now. Scientists and managers are getting together in early June to review what we know and don't know about the geothermal system in the Old Faithful area. Panelists with a wide range of backgrounds and experience will share what is currently known about the area's hydrothermal systems and will discuss potential areas for future research. The goal is to help current and future park managers understand how the hydrothermal system is influenced or impacted by human actions in the area to aid them in decisions about any potential infrastructure changes. Saskatchewan may get Canada's very first geothermal power plant. But there are other countries that have been generating a huge chunk of their power using geothermal for decades. Radio Canada spoke to geothermal expert Alexander Richter from Iceland (AUDIO 6:19 Minutes). Earth Heat Resources Ltd of Adelaide has changed it's name to Rampart Energy Limited, according to a May 22 news release. On it's website the new company lists just one geothermal project interest, the Fiale Geothermal Project, located in the Lake Assal region of Djibouti. On April 23 Earth Heat Resources announced it had withdrawn from the Copahue Geothermal Project Joint Venture (JV). Geothermal One of Canada has assumed all current and future liabilities associated with the Copahue geothermal development in western Argentina. On May 27, Chilean and Argentine officials issued a red alert Monday for the increasingly active Copahue volcano bordering the two countries and ordered the evacuation of about 3,000 people. Tucked in the northeastern corner of California, Surprise Valley is set amid a high desert landscape dotted with hot springs and dry lakebeds. 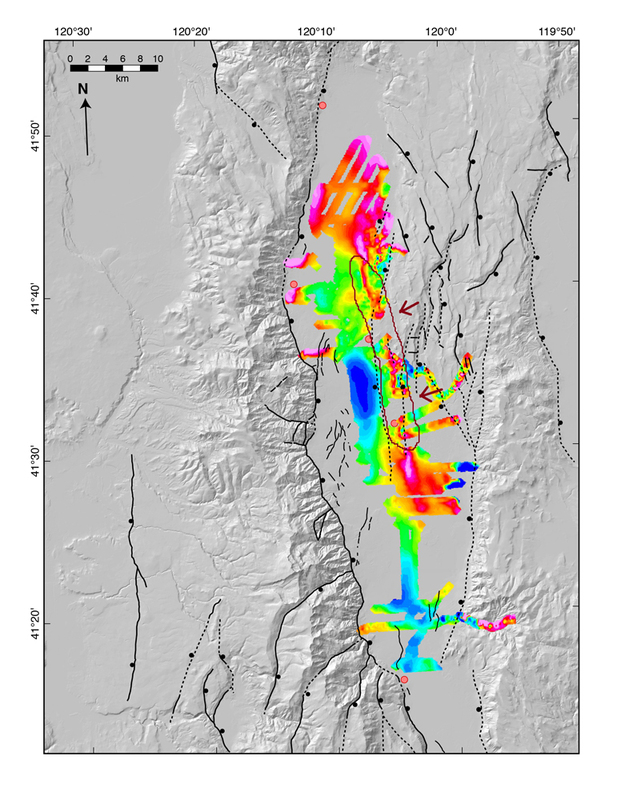 During the first two weeks of September 2012, a team of scientists and engineers collected magnetic data using ground surveys and an unmanned serial system, or UAS, to map the geophysics of Surprise Valley, revealing features buried below the surface. Although some faults and fractures are visible, some remain hidden underground. And even when researchers know where hot springs are located, they want to understand how fluids flow through the network of underground pores and channels. Hot Rocks - Why Not Now? Like nuclear fusion geothermal schemes always seem to be thirty years away. Yet some are already working in Australia and others are looking good. When will hot rocks really deliver and when will gas from the ground prove to be a safe option? Australian scientists sum up the present state of play and Sir David King, former chief scientist in the UK, gives some policy options. A renewable energy consultant and the Oregon Institute of Technology have come up with an unusual financing plan for an even more unusual power plant idea. The U.S. Department of Energy got the ball rolling by awarding a small research and development grant for the proposed power plant on the Klamath Falls campus. The plan is to retrofit Oregon Tech's existing geothermal power plant with a solar thermal array -- parabolic mirrors in a long trough shape focused on tubes. The point is to make the geothermal well water hotter to produce more electricity. Renewable resources are continually gaining traction both in labs and within investors' portfolios. Which renewable source emerges the victor has yet to be seen. In my case, I have chosen to place my first bet on the effect that geothermal energy could have on the world. Here is an energy bestowed upon us from the belly of Mother Earth that can be harnessed in the form of steam after drilling several miles below the surface. What makes this more unique than solar or wind? Well for one, the consistency in which power can be generated from a geothermal plant ranks leaps and bounds ahead of the other two which are largely dependent on the time of day, weather, etc. Therefore, geothermal power can be relied upon as a base-load source much like nuclear and coal plants are now. Add in the fact that it has a comparable levelized cost to that of natural gas facilities while beating out all other renewable sources other than wind, and geothermal appears to be an ideal choice to build the energy infrastructure of the future around. The governor of Papua New Guinea’s Oro Province is calling on the national parliament to pass legislation that will specifically cover geothermal energy development in the country. Currently the Mineral Resources Authority grants licences for geothermal projects under the Mining Act, but Gary Juffa says geothermal is not a mineral so it should not be covered by the act. The multi-billion Menengai Geothermal project has received a major boost after the World Bank pledged to inject an additional Sh10 billion to speed up the drilling and exploration of the green energy. 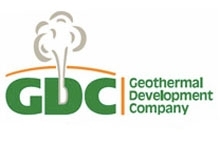 The funding comes at a time when Geothermal Development Company (GDC) is stepping up efforts to woo investors to put up power plants in the three-year-old project which is supposed to generate 5,000 MWe by 2030. A Saskatoon company hopes to drill down 3,000 metres and build a geothermal power station in the Estevan area. Afternoon Edition host Craig Lederhouse spoke with Deep Earth Energy Production Corp. CEO Kirsten Marcia about the project. Businesses and private residence across Kenya were affected by a power outage on Tuesday that hit the national grid. The outage that occurred at 1:30 pm was caused by an overload on the transmission line between Olkaria Geothermal load centre and Ndenderu substation. The overload led to the system tripping bringing businesses across the country to a halt. The transmission lines were carrying up to 400 MW of electricity. The national interconnected grid and generating system were also said to have tripped, causing further discomfort to the National power provider as well as Kenyans. Alternative Earth was responsible for the development of the Blue Mountain geothermal resource from exploration through construction of the nameplate 49.5 MW (gross), 38.8 MW (net) Faulkner I power plant, and continues to hold interests in four other geothermal properties. The results of the Blue Mountain power plant are included in Alternative Earth's results up to March 28, 2013, on which date the Company transferred its interest in the project to Blue Mountain Power, LLC, a subsidiary of EIG Global Energy Partners ("EIG"), which had been the mezzanine lender on the project. Alternative Earth continues to operate the power plant through its subsidiary, Nevada Geothermal Operating Company ("Opco"), and is providing some management and administrative services during a cooperative transition period. The transfer of the Company's investment in the Blue Mountain project to EIG resulted in the recognition of a gain of $80.9 million in the quarter ended March 31, 2013. Reduced room rates at the MGM Grand for the GRC Annual Meeting & GEA Expo in Las Vegas, Nevada, ends on May 31. The Geothermal Resources Council (GRC) has announced that the offer of a discounted hotel rooms at the world’s largest annual geothermal conference at the MGM Grand Hotel in Las Vegas, Nevada, Sept. 29-Oct.2, will end this week. The room rate for the GRC Annual Meeting & GEA Geothermal Energy Expo at the MGM Grand Resort & Casino at present is $89. In the three towers of the Signature at MGM Grand it is $99. After May 31 these rates will increase by over $60. Deep Earth Energy Production Corp., a closely help developer, is planning Canada’s first geothermal power plant that will tap into heat resources underneath oil and natural gas fields in Saskatchewan, according to CEO Kirsten Marcia. The project may cost C$35 million ($33.9 million) and would have 5 MWe of generating capacity, Marcia said today in a telephone interview. Construction is expected to begin in 2014. The region is already home to oil and gas production companies that have studied the geology and documented reserves of heat energy needed to run geothermal power plants since the 1950s. Deep Earth may eventually build additional facilities in the area, some with as much as 20 MWe of capacity, Marcia said. Deep Earth, based in Saskatoon, Canada, plans to tap into heat resources at least 2 miles (3.2 kilometers) below the surface in the Williston Basin, an area encompassing parts of Montana, North and South Dakota and Saskatchewan. From Nevada’s Hoover Dam to a geothermal plant next to an Icelandic volcano, these six power stations open their doors to visitors. The Hoover Dam will be a stop on a one-day Field Trip from the GRC Annual Meeting & GEA Expo, Sept. 29-Oct. 2, in Las Vegas, Nevada, USA. Hellisheidi is one of five major geothermal power plants in Iceland. Altogether they produce nearly one-third of the country’s energy as well as contribute to geothermal heating efforts that provide hot water and warmth for 87 percent of the country’s housing. At the Hellisheidi plant’s visitors' center, open daily, visitors can learn more about how Iceland uses geothermal energy. The city of Klamath Falls, located on a Known Geothermal Resource Area in southern Oregon, is taking a close look at getting into the electric utility business...but regional utility Pacific Power is strongly opposed to the idea. Klamath Falls Mayor Todd Kellstrom thinks that forming a municipal utility district could be a 'twin win' situation for the city..."I wanted to look at possible revenue enhancement for our budget, as well as providing for the citizens of Klamath Falls, cheaper power rates." But Pacific Power says they're ready for a long legal battle to prevent the city from getting into the electrical utility business. "The city has a right to own and operate a utility. We operate water, wastewater, and geothermal right now." The city has posted a website on the issue: www.kfallselectric.com. The Oregon Institute of Technology, which is home to the renowned Geo-Heat Center, campus is located within the Klamath Falls City limits. It has been heated by the direct use of geothermal energy since 1964. ROOM BLOCK EXPIRES MAY 28th! GRC has secured a discounted room rate of $139 (plus room tax and fees) for workshop attendees at the Embassy Suites Sacramento Riverfront. Hotel stay includes full breakfast buffet from 6:30 - 9:30am and "Manager's Reception" from 5:30 - 7:30pm everyday. Reserve your hotel room using the group code: GRC or call (800) 498-5237 and ask for the GRC/Geothermal Resources Council discount rate. Don't delay, discounted room rate expires May 28, 2013. Djiboutian Minister of Energy Ali Yacoub Mohamoud and Japanese Ambassador to Djibouti Atsushi Nishioka discussed the possible joint development of geothermal energy in Djibouti Wednesday (May 22nd), the Djiboutian Information Agency reported. Mohamoud expressed Djibouti's desire to develop geothermal energy as a way to move towards energy independence, which Nishioka said Japan will support. The Catch-22 problem that is holding back world investment in geothermal power could be addressed via the establishment of a “global geothermal exploration drilling fund”, with either private investors and banks or government entities and development banks as the capital providers. A new White Paper (PDF), published today by research firm Bloomberg New Energy Finance and analysis provider Rinova International, examines how a possible $500m fund could help geothermal developers. At present, the industry faces the problem that that even though the sector as a whole can offer attractive returns, it is very difficult to raise the capital to drill individual wells because of the high risk of failure. Iceland GeoSurvey (ÍSOR) is celebrating its 10th anniversary on May 23, 2013 with an anniversary conference in Reykjavik, Iceland. While founded in July of 2003, the agency can trace its history back to 1946 with the foundation of the National Energy Authority of Iceland and specifically to the foundation of a specific geothermal division in 1956. The Geothermal Resources Council (GRC) has announced more details of events at the world’s largest annual geothermal conference at the MGM Grand Hotel in Las Vegas, Nevada. In addition to the main event of the GRC Annual Meeting & GEA Geothermal Energy Expo taking place September 29-October 2, 2013, there will be two workshops and two field trips before the conference and one field trip just after. Room Block Expires May 31st - Book Your Room At The MGM Grand Now! The Nevis Island Administration (NIA) says it is talking with several potential developers of geothermal energy on Nevis. That’s despite the fact that West Indies Power, the company that has purportedly invested millions in the project, is seeking redress from the NIA for seeking to end a contract signed by both parties to develop geothermal energy. “We want when we come to the general public, we are able to present them with a situation that is positive in terms of moving geothermal forward,” says Nevis Energy Minister Alexis Jeffers. He adds that the NIA hopes to have Nevis free of fossil fuel in the next couple of years without giving an exact date. Jeffers wants to see current hurdles overcome to facilitate the project moving full speed ahead. Minister Jeffers says the plan is to develop a 40 MWe plant and make the energy available to St. Kitts. Would like to see more development of so-called "forgotten renewables," such as geothermal systems. The Obama administration should be pushing hard for the development of renewable energy technologies even as the ongoing U.S. gas boom makes them less economically competitive, the new head of the Department of Energy said Wednesday. "This is the time to get those ready for the marketplace on a big scale," DOE Secretary Ernest Moniz said during a town hall forum with DOE employees. Moniz said he would like to see more development of solar and wind technologies, as well as so-called "forgotten renewables," such as geothermal systems and small hydropower. Antonio Gershenson Tafelov said during a conference at the University of Tijuana that there is a lack of interest being shown by authorities in Mexico in promoting the development of a subsea power reservoir located off the coast of Baja California. Antonio Gershenson Tafelov apuntó durante una conferencia en la Universidad de Tijuana el escaso interés que se esta mostrando por las autoridades de México en potenciar el desarrollo de un yacimiento de energía submarina situado en la costa de Baja California. With the discovery of this new geothermal field in El Salvador, with an estimated potential of between 30 and 40 MWe, the contribution of geothermal energy to the country's electricity grid could be increased by up to 35%. Con el descubrimiento de este nuevo yacimiento geotérmico en El Salvador, estimándose un potencial de entre 30 y 40 MW, se podría incrementar hasta en un 35 % la aportación de la geotérmica en la matriz energética del país. depth during oil exploration drilling in 1981. Deep, high heat-flow sedimentary basins potentially have geologic formations with sufficient natural permeability to provide reservoirs suitable for geothermal power generation. New technologies of permeability enhancement that have transformed the oil and gas exploration industry in recent years also have the potential to transform the geothermal power industry. JFE Holding Inc.’s engineering unit and partners began test drilling for a 7 MWe geothermal power station in northern Japan. A venture set up in 2011 between JFE Engineering Corp., Japan Metals & Chemicals Co. and JMC Geothermal Engineering Co. is conducting the test in Hachimantai city, Iwate prefecture, the companies said in a statement today. With the start of test drilling, Mitsui Oil Exploration Co. has decided to join the venture, according to the statement. Mitsui and JFE will each have a more than 33 percent stake. The rest will be split between the two other companies. Constellation Energy Corp. will develop lakeshore areas near its 20 MWe geothermal power project in Oriental Mindoro into a hot spring and wellness center to showcase the healthy mix of green energy and green tourism. “Green energy is the way to go. Power, tourism and health rejuvenation can mix. This is possible with renewable power energy,” said CEC chairman Jose Leviste Jr., who is venturing from mining to renewable energy. New energy player CEC, along with partners Emerging Power Resource Holdings Inc. and IF Technology of The Netherlands, started work on the Mindoro geothermal project, which has a potential of generating up to 70 MWe. The project in Naujan Lake in Montelago, Naujan, Oriental Mindoro is scheduled to be commissioned in 2014. The government of Montserrat has released the first official report (PDF) on the findings of the geothermal assessment conducted by Dr Graham Ryan of the Institute of Earth Science and Engineering, University of Auckland in New Zealand. Drilling began on Montserrat’s first geothermal well, MON-1, on 17 March. “MON-1 was originally designed to be drilled to a maximum depth of 2,000 meters. However, while temperatures were high there was no indication of permeable zones that would allow hot water to flow into the well. Therefore the well was deepened to a depth of 2,298 meters; a permeable zone was found at 2,142 m.
“Overall, information that has been gathered while drilling has matched well with the models’ predictions. Initial temperature testing during and after drilling of the well indicated temperatures of around 250 ˚C, even higher than originally expected. Early testing also indicates an inflow of hot water or a ‘feeder zone’ at a depth of 2,142 meters – 142 meters below the planned depth for the well. Greg Stevens saw opportunity 475 feet below the Golden Gate Hotel & Casino. That’s where the engineer and co-owner of the 107-year-old downtown property decided to draw the heating and cooling power needed to keep beer and slush drinks cold at the casino’s OneBar. Beneath the building is the home of a closed-loop geothermal system. The system harnesses enough power to heat the showers of 106 hotel rooms and cools drinks in temperatures well above 100 degrees. Geothermal technology has recently popped up in the Las Vegas area, following a massive movement in Carson City and Reno. The Clark County School District uses geothermal systems at three of its trade schools, and the PBS building on East Flamingo Road has installed a system of its own. The 37th GRC Annual Meeting & GEA Geothermal Energy Expo will be held at the MGM Grand Hotel, Las Vegas, Nevada, USA, September 29-October 2, 2013. The Arizona Geological Survey is leading a coalition of universities and national agencies on a project to find and digitize data from extensive surveys of geothermal resources that were funded in the 1970s, 1980s and 1990s but that have been sitting unused in state and federal filing cabinets for decades. The coalition expects to have as many as three million wells in the system by the end of 2013, and Microsoft Research is using the data to build 3-D interactive maps. In New York, the Earth’s core temperature isn’t quite hot enough to produce electricity. What it does allow for, though, is a cleaner heating and cooling option for thousands of homes and offices – as the tapped heat not only provides heating in the winter, but also air conditioning in the summer. Alterra Power Corp. announces that long time director Paul Sweeney retired as a director of the Company at its Annual General Meeting on May 14, 2013. Mr. Sweeney was replaced by John Carson, who has been the Company's CEO since September 2011 and brings extensive transactional and financial experience to the Board, including ten years in the renewable power industry. Power generator KenGen will invite financing bids for a new US$2billion (Sh165billion) geothermal power project expected to generate 560 megawatts of power, by far the largest in the world. The bids will be for both financing and joint-ventures with KenGen, managing director and GRC member Eddie Njoroge said. If successful, the project will be bigger than the current 280 MWe power project being carried out at Olkaria 1 and Olkaria 4. Speaking during a tour of the project, Njoroge said the bids will be sent out by September this year. "We have prequalified bidders for that," Njoroge said. "We will be sending out the Requests for Proposals by September this year." The nuclear disaster in Japan two years ago ignited a push to develop a new and clean energy industry, but those efforts are being stymied by a raft of regulations. Geothermal power is no exception in terms of having to overcome mounting hurdles despite Japan's great potential for this sort of clean energy. Developers face a set of complex procedures to obtain a permit when plans are made to build a geothermal power plant in a natural park or hot spring resort. As a result, there was no private investment in geothermal power in Japan during fiscal 2012. The acquisition was completed in accordance with the agreement reached last December between Mitsubishi Heavy Industries (MHI) and United Technologies Corporation (UTC) of the U.S., Pratt & Whitney Power Systems' (PWPS) parent company. Operations are launched under the new corporate name of PW Power Systems, Inc.
As part of the acquisition, MHI also acquired Turboden s.r.l. of Italy, a manufacturer of Organic Rankine Cycle (ORC) turbines and an affiliate of PWPS. With the addition of PWPS and Turboden s.r.l., together with the planned business integration with Hitachi, Ltd. in the area of thermal power generation systems scheduled for January 2014, MHI will be able to provide a wider range of products and services for thermal power generation systems. Pratt & Whitney Power Systems will be exhibiting at the GEA Expo held concurrently with the GRC Annual Meeting in Las Vegas, Sept. 29-Oct.2, 2013. Michael Simpson, R-Idaho, whose constituency includes much of south-eastern Idaho, has introduced legislation (H.R. 2004) to "expand geothermal production." The bill was introduced on May 15 and was co-sponsored by Rep. Peter A. DeFazio, D-Ore. The legislation was referred to the House Natural Resources Committee. A unit of Nippon Steel & Sumitomo Metal Corp., Japan’s largest steelmaker, expects annual sales of 5 billion yen ($49 million) from its geothermal business as early as 2015. Nippon Steel & Sumikin Engineering Co. plans to expand its business in Japan and in countries such as Indonesia, Ryuichi Kageyama, general manager for the geothermal power business, said at a briefing today. It also plans to enter plant operation, maintenance services and power retailing, he said. Enough U.S. Northwest wind energy to power about 85,000 homes each month could be stored in porous rocks deep underground for later use, according to a new, comprehensive study. Researchers at the Department of Energy’s Pacific Northwest National Laboratory and Bonneville Power Administration identified two unique methods for this energy storage approach and two eastern Washington locations to put them into practice. One would access a nearby natural gas pipeline, making it a good fit for a conventional compressed air energy facility. The Yakima Minerals Site research team devised a different kind of compressed air energy storage facility: one that uses geothermal energy. This hybrid facility would extract geothermal heat from deep underground to power a chiller that would cool the facility’s air compressors, making them more efficient. Geothermal energy would also re-heat the air as it returns to the surface. Congressman Mike Thompson (D- St. Helena), whose constituency includes The Geysers geothermal field, has announced that he has led a bipartisan letter to President Barack Obama regarding clean energy royalties. The letter also signed by Representatives Mark Amodei (R-NV), Steven Pearce (R-NM), Joe Heck (R-NV), Jared Huffman (D-CA), John Garamendi (D-CA) and Juan Vargas (D-CA), asks Obama to not repeal the sharing of geothermal royalty payments with counties, which was targeted for cuts in Obama's fiscal year. "Geothermal development comes at a cost so if a community invests in developing geothermal energy they deserve to get their fair share in returns," Thompson said. "Repealing geothermal royalty payments to counties is a short sighted, fiscally irresponsible plan that will have no meaningful impact on deficit reduction. It will strip away funds that our counties use to pay for public safety, road maintenance and law enforcement." Japan's Prime Minister Shinzo Abe has promised to ease the way for development of geothermal power. Abe visited on Saturday the hot-spa resort of Beppu in Oita Prefecture, western Japan. He was shown a geothermal system developed by a group of local small businesses. The system uses steam and hot water to turn a turbine and generate electricity. An operator told Abe that small geothermal projects are subject to an energy-industry regulation requiring the regular presence of an engineer. The operator said this raises costs and hinders the spread of geothermal initiatives. Abe said he would ask his industry minister to ease the regulation. He later told reporters local industry is essential to his growth strategy. Ministers are to draw up details of the strategy next month.